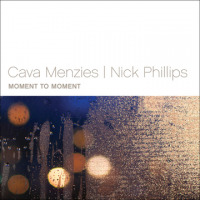 Perhaps best-known as a jazz record producer, with credits on countless internationally distributed releases including more than a dozen Grammy nominated projects; Nick Phillips heartfelt, lyrical jazz trumpet playing was put in the national spotlight in 2014 with release of his own debut album Moment to Moment. The album, which cracked up the top 20 on the Billboard Jazz Chart and was named one of the Best Jazz Albums of 2014 by Downbeat magazine, drew enthusiastic comparisons to the work of jazz trumpeter Miles Davis. Bassist Ariane Cap has played in countless bands and projects in Europe and the US. She recently recorded with multi Grammy award winning producer Keith Olsen for his project Rocha-Unum. She also co-leads a project with bassoonist Paul Hanson OoN. The quartet includes Nick Phillips, trumpet; Ariane Cap, basses; John R. Burr, Keyboard; and David Rokeach, drums.